"Six-pack" abdominal muscles have long been viewed as the sign of ultimate physical fitness. Although many people strive for this level of fitness, lasting success evades them. Bodybuilders, advertising models, and professional athletes make achieving a "washboard" stomach look easy. So why do so many people have trouble getting lean abs and lowering their body fat? Can you get six-pack abs and maintain this level of fitness permanently? Sure you can. When you realize that there's no "magical" solution for losing excess weight and that quick fixes and short-term diets just won't work on a long-term basis, you'll be ready for "The Six-Pack Diet Plan." The plan described in this book is a long-term weight-loss solution that specifically targets problem areas such as the abdominal region. It uses your body's natural components, such as hormones, to help you win the battle of the bulge and create a fat-loss-friendly environment in your body. 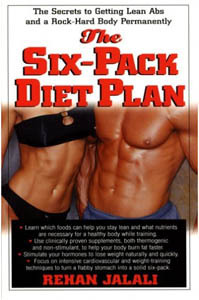 "The Six-Pack Diet Plan" offers researched-based concepts to optimize each facet of the fat-loss puzzle. And like any puzzle, it takes all the pieces to make it complete: proper nutrition, quality training, optimum supplementation, and perseverance to create a fat-loss program that you can live with. 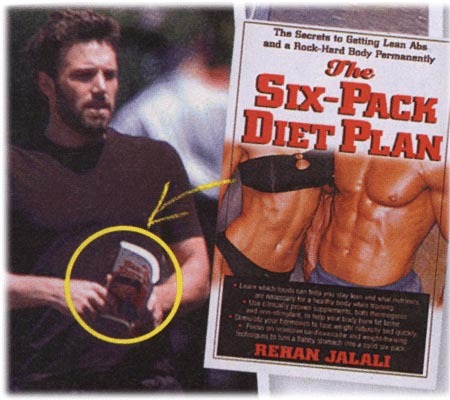 See Who's Reading "The Six-Pack Diet Plan"
Rehan Jalali is a nationally recognized sports nutritionist who has developed more than 100 cutting-edge products for the dietary-supplement industry. He has worked with and helped formulate products used by dozens of Olympic and professional athletes. He is also a natural bodybuilder, founder of the Supplement Research Foundation, and author of "The Secrets of Nutrition and Sports Supplements" and "The Bodybuilding Supplement Guide."